Owned and operated by Greece’s authentic and top female celebrity chef Argiro Barbarigou, Papadakis is a popular mainstay among restaurants in Athens. Set in the foothills of Mount Lycabettus in Kolonaki neighborhood, Papadakis is Argiro’s second successful venture on the heels of her native Paros restaurant of the same name, where the global glitterati would often arrive by boat. 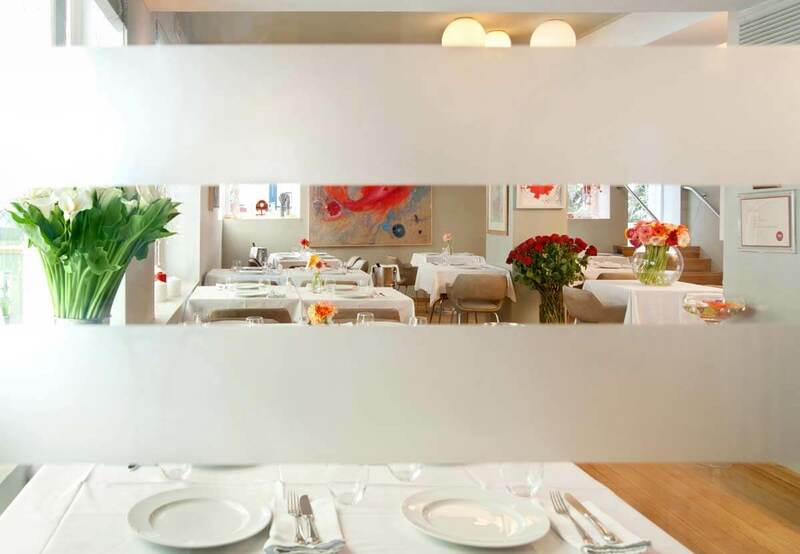 From Jean Paul Gauthier, Carla Bruni and a throng of celebrity diners to Athenian media, locals and tourists, people would flock to Argiro for her coveted tables, her signature Cycladic cuisine and her authentic, personal touch. Argiro’s parents were the owners of the beautiful traditional hotel, in Naoussa, Paros, called Papadakis Hotel, and Argiro’s mother, and sister Nikoleta, have been the landladies of the hotel up to this day. The unforgettable Papadakis restaurant was the core of her family history with her father as the leader of it during the 1970s. Its characteristic menu was the fresh fish and the seafood indigenous to the Greek islands. Argiro revived the myth of Papadakis restaurant in March 1996 by re-opening the restaurant’s doors in Naoussa, Paros, and now, she moved the concept to Athens. The menu from 1996 until today is based on fish, seafood and authentic local products from all over Greece.